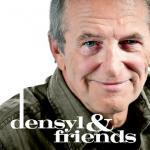 Pro General Comments: Hi Densyl!I actually have become a big country fan!Song has a great feel. Great title too- it makes a person wonder. You always want to draw in your listener and make them wonder. Also it has a visual in it which is always good. Gives it dimension.I like the vocal in fact it sounds like one of my best friends. It almost sounds a bit low for the singer sometimes. It is very distinctive so people will either love it or not. Personally I love a lot of character in a vocal and the grist in the tone. I always feel that certain indie movies really love this type of unorthodox stuff - it gives them a lot more oomph than the regular type pop radio.In places it feels a bit like the singer could "sing" the words a bit more versus speaking them - or trying to fit them in somehow..Just a tad smoother. I think the song works nicely for the artist - especially live it would be great. If you wanted to pitch it for another artist- it would need tweaks suggested throughout. However- that is why I mentioned indie films, they don't necessarily need the standard formulas. Just read the lyrics. EXCELLENT!!! WOW. Not everyday I come across such poetic VISUAL lyrics. These are really great. You started nice- setting up the story and letting it evolve. "There's dust in my eyes and it's hurting like hell" - you paint the picture so vividly for the listener. This is a great knack- not always easy to do. And then to end it "and still the rain don't come." Wow. Heavy duty...great.These lyrics are truly evocative. The only thing I can think of to make them just a tad better would be to give us a hint of "what caused their split?" People stay together in hard times.... Was she a social climber, was the singer lost when he should have been better, something- some red flag in the story that would hint about why she left. This would give the song a final touch- a stronger dimension to the story. Perhaps in a bridge part? To take the song to a new place for a minute and give us this pay-off.. (eg- no use saying what coulda been, my little church girl, said we were living in sin, shoulda married her, and given her my ring.... ) you get the idea..-some kinda idea..of why... This idea is probably too specific- cause you have a nice vagueness here, which you might not want to ruin- perhaps something more subtle.. It's just to give you the idea. Quote From Pro: Artist paints an evocative picture in a masterful way.